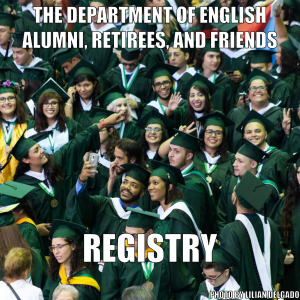 The UPRM English Department constantly reevaluates its programs, courses, and teaching methodologies to offer students the best and most up to date English education possible. Our assessment procedures involve professors and students identifying problems, issues or changes that need to be made based on observation, surveys, test scores, or enrollment. Two typical practices for evaluation include “Exit Interviews” and “Exit Surveys” that are given to graduating undergraduates in our BA program and graduates in our MAEE program. These surveys have provided important information for assessing the programs, or courses and student achievement. In addition to English Department evaluation processes, another very important process of assessment is a result of mandates that are placed on departments and programs from higher education certification programs such as Middle States (MSCHE) at the university level and NCATE/CAEP at the Department level. These councils provide standards which universities and programs must abide by in order to maintain standing in providing quality programs in their institutions and in preserving accreditation. The Department of English has abided by Middle States standards since 1945 and more recently, by the standards from NCATE/CAEP for English educators. The Department of English has four standing sectors (Linguistics, Literature, Writing and Communication, and ESL) and three Course Coordination Committees that were created to provide a space where professors review and assess the programs in the department that relate specifically to that sector or course and to the students taking the courses overseen by that sector. The sector and Course Coordination Committees meet once a month to discuss issues arising that need to be attended. At these meetings professors discuss many issues such as how courses are working for students, where they see gaps in instruction, and if students have difficulty progressing, among others. This monthly assessment leads to actions that take different forms. For example, a number of yeas ago the Writing and Communication Sector found that students were asking for more writing courses. Upon evaluation of the course offerings it was found that there were only a few writing courses available to students, so the sector began to create courses and work with the curriculum committee to bring in more of these courses. Student surveys showed that they were please with the changes. A writing and communication minor was then added to the English Department offerings and a new program is under construction for Writing and Communication.